To counteract this unhealthy messaging, many organizations around the globe are working to instill healthy eating habits, foster food literacy, teach culinary skills, and educate children about the environmental, social, and health consequences of their food choices. Food Tank has selected 35 particularly noteworthy programs. Ciades Sem Fome (São Paulo, Brazil): Ciades Sem Fome (Cities Without Hunger) transforms São Paulo’s unused land into community gardens, school gardens, and agricultural greenhouses to improve the diets and health of local communities. Their School Gardens Project provides children in deprived regions of São Paulo with healthy food and nutrition education. The organization has built 38 school gardens in public schools and estimates they have reached nearly 15,000 children with their food and gardening education. Common Threads (United States): Millions of low-income children do not know how to choose or cook nutritious foods. Common Threads is dedicated to changing that by providing cooking and nutrition programs to underserved communities across the U.S. They are committed to preventing childhood obesity while also celebrating food culture. Common Threads takes a hands-on, family-centered approach to providing education on nutrition, healthy eating, sustainability, and garden development. Counterpart International (Cameroon): Since 2012, Counterpart International’s Food for Education program has connected local governments, schools, parents, communities, and nonprofit organizations in Cameroon to improve the health of students through food education. In addition to distributing nutritious meals to schools, they promote the value of healthy eating, build school gardens, and provide participants with food and health education. Since the implementation of their program, they have produced 172 metric tons of food in their gardens, reached more than 500,000 people with school meals and education, and increased school attendance among girls. Cultiva Ciudad (Mexico City, Mexico): Based in Mexico City, this urban agriculture organization operates school garden programs in schools throughout the city. 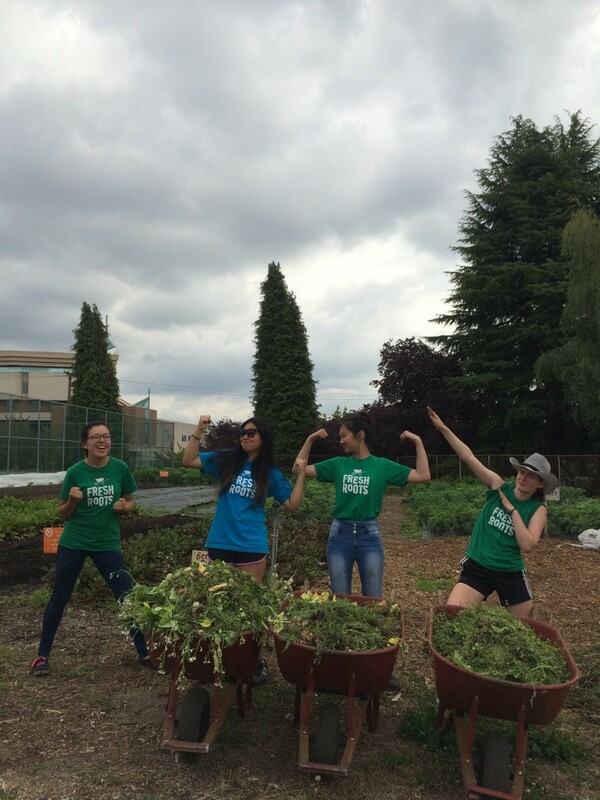 They teach urban gardening skills and provide food education to at-risk youth. In addition, they collaborate with Centro de Autismo Teletón to operate a therapeutic sensory garden for children on the autism spectrum. The therapeutic garden connects these children with nature and delivers basic food and environmental education. The Curriculum of Cuisine (Portland, Oregon, United States): The Curriculum of Cuisine provides rigorous education on culinary skills and food justice to children in Portland, Oregon. Before establishing their program in a school, they meet with teachers to learn about the academic culture of the students. They then invite chefs into the classrooms to provide hands-on lessons in conjunction with standard academic subjects. For instance, the chefs may join a typical language arts class and work with students to connect their reading and writing to culinary experiences. Alternatively, they may visit a natural science class and incorporate gardening skills into the lesson. This integrative approach seeks to enhance student interest and engagement in food and nutrition. Edible Garden City (Singapore): Edible Garden City is working to spread the “Grow Your Own Food” movement to Singapore, where land is scarce and people are highly dependent on imports. In addition to working with residents to maintain food gardens, they help schools establish gardens and teach students to grow their own food. They focus on sustainable growing methods, recycling, waste minimization, and nutrition education. Edible Garden City tailors the curriculum to each school and its particular culture; they believe children are more likely to eat their vegetables if they grow them and take ownership of them. The Edible Schoolyard Project (United States): This national organization seeks to create and spread a national food education curriculum for pre-kindergarten through high school. They believe in the importance of gardens and kitchens as classrooms. The goal of their curriculum is to empower students to make healthy food choices, not only for themselves but also for their environments and communities. They integrate their lessons into standard academic subjects while still incorporating their edible education goals—communication, personal and community stewardship, flexibility, and perseverance. The Finnish National Board of Education (Finland): Finnish school legislation not only guarantees a well-balanced meal for each student every school day but also requires that schools conduct nutrition education continuously throughout the school year. Every municipality must provide the Finnish National Board of Education with their plans for arranging school meals and their objectives for health and nutrition education. To facilitate this planning, the National Nutrition Council in Finland prepares guidelines for the schools and oversees their nutrition curriculums. Food Corps (United States): AmeriCorps leaders deliver the Food Corps program to high-needs schools across the U.S. to connect children with healthy food. Because children almost always enjoy food they have grown and prepared themselves, Food Corps focuses on hands-on education in both cooking and gardening. They also help reform cafeterias to ensure they provide healthy options and work with the entire school community to celebrate healthy food. After working with a school, Food Corps measures changes in children’s preferences for vegetables using their research-validated Vegetable Preference Survey. They have found that after participating in the Food Corps program, 7 in 10 children improve their attitudes toward vegetables, one of the strongest predictors of a healthy diet. Food Literacy Center (Sacramento, California, United States): To improve Sacramento’s health, environment, and economy, and to inspire children to eat their vegetables, the Food Literacy Center teaches low-income children cooking and nutrition. Their programs range from food literacy lessons to community events, each of which focuses on positive reinforcement to help children make healthy adjustments to the foods they already eat. Their food literacy curriculum, Your Sandwich Can Save the World!, is taught to local nonprofits and schools to instill healthy habits early. The curriculum also encourages children to take their knowledge home to their parents and families. The Food Trust (Philadelphia, Pennsylvania, United States): Headquartered in Philadelphia, The Food Trust is dedicated to ensuring their city’s residents, and people across the country, have access to affordable, nutritious food and education to foster healthy decisions. They work closely with Philadelphia’s neighborhoods, schools, grocers, farmers, and policymakers, in addition to advocates across the country, to develop a comprehensive approach to the nation’s obesity crisis. This approach combines nutrition education and greater availability of affordable, nutritious food to improve food access, particularly among low-income communities. Fresh and Local (Mumbai, India): As one of the most densely populated cities in the world, Mumbai does not have much room for agriculture. To ensure Mumbai’s residents have access to fresh produce, Fresh and Local helps people grow food on their rooftops. Recently, they developed a Nomadic Garden program, in which program staff use a traveling garden to educate Mumbai students about farming, ecology, food systems, and nutrition. 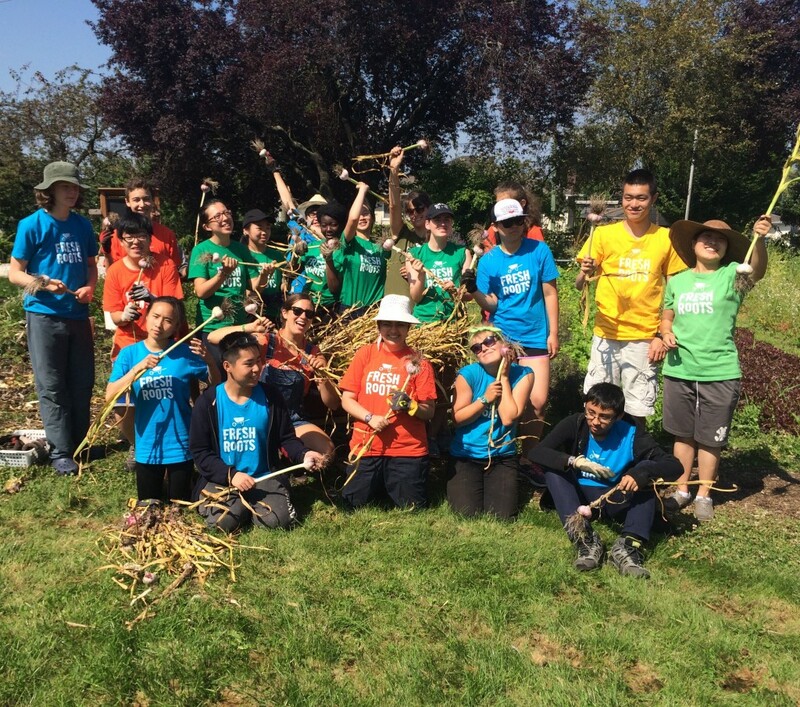 Fresh Roots (Vancouver, British Columbia, Canada): Fresh Roots cultivates school gardens and provides food education at schools across Vancouver to catalyze healthy eating, ecological awareness, and community building. They turn school gardens into educational sites, where they facilitate experiential lessons on food, nutrition, and farming; mentor youth through garden clubs and summer programs; host internships for high school students; and empower students to grow their own food. Gardeneers (Chicago, Illinois, United States): Although school garden programs consistently demonstrate numerous benefits, many schools lack the resources to maintain them. Gardeneers works with Chicago-area schools to improve or establish effective garden education programs. Their experiential lessons teach students about nutrition while enabling them to connect with their communities and environments. They want all children to understand the importance of healthy food in creating successful lives. Growing Chefs (Vancouver, British Columbia, Canada): When Merri Schwartz, a professional pastry chef, realized that knowledge about food sustainability, nutrition, and local agriculture was not reaching local communities, she founded Growing Chefs to change that. Growing Chefs teaches children, families, and communities about healthy food and healthy food systems, with the ultimate goal of creating a world with healthy, sustainable food practices. They offer programs, seminars, and workshops to advance their mission. For instance, they place volunteer chefs in schools to teach children cooking skills, support urban agriculture, and provide children with the space and tools to grow their own food. Healthy Garden and Kitchen Program (Lima, Peru): An initiative of the nonprofit Centro Ann Sullivan del Perú, Lima’s Healthy Garden and Kitchen Program teaches children to grow, harvest, and prepare nutritious, fresh food. The Center, which produces educational programming for students with developmental disabilities, built a new garden and kitchen with support from the Australian Embassy in Peru. They conduct kitchen and garden lessons four to five days per week with help from some of Peru’s top chefs. Jamie’s Food Revolution (United States; United Kingdom; Australia): Jamie Oliver, a British chef and restauranteur, is using his celebrity status to foster a global food revolution in the way children access, consume, and understand food. Jamie’s Food Revolution works in the U.S., the U.K., and Australia to improve the health of future generations through the food that they eat. They provide food and nutrition education programs, healthy cooking classes, and gardens to schools across the world. The organization also recently launched a six-point plan to tackle childhood obesity in the U.K. The multi-sectoral plan outlines policies and community-based interventions to change food culture in U.K. schools. Kuzenhof (Freiburg, Germany): This farm in Germany teaches visitors, including children, about the benefits and techniques of farming. Their lessons demonstrate the ways in which agriculture interacts with the environment and the effects of food choice and preparation on the ecological system. They enable children to experience farming and nature with the ultimate goal of fostering environmentally conscious and nutritious food consumption. Mazingira Institute (Nairobi, Kenya): In 2000, the Mazingira Institute initiated its Urban Food and Nutrition Security and Urban Agriculture Project to provide training courses in urban agriculture, food security, nutrition, and food systems. The training courses develop knowledge and skills among youth and adults, but in 2015 they were recognized for their work with youth, winning second place for the 2015 International Network for Urban Agriculture (INUAg) Innovators in Urban Agriculture Prize–Teaching Youth. The NGO has educated thousands of youth since the inception of this program. Mbuyuni Garden (Dar es Salaam, Tanzania): The Regent Estate Senior Women’s Group, a local association that promotes the reintegration of vegetables into the Tanzanian diet, established this project at the Mbuyuni Elementary School in Dar es Salaam, Tanzania. They created a school garden spanning one-sixth of the school’s land to produce organic crops for school meals. The students harvest the garden’s produce three times a week, enabling school chefs to prepare diverse, nutritious meals. The program teaches children how to cultivate indigenous vegetables, appreciate the origin of their food, and eat more nutritiously. National Farm to School Network (United States): For communities working to bring food and agriculture education into their school systems and early care programs, the National Farm to School Network (NFSN) serves as an information, advocacy, and networking hub. NFSN provides leadership and support at the state, regional, and national levels to expand the farm-to-school movement, which empowers children and their families to make healthy, sustainable food choices. As of 2014, their network includes approximately 42,000 schools in all 50 states. 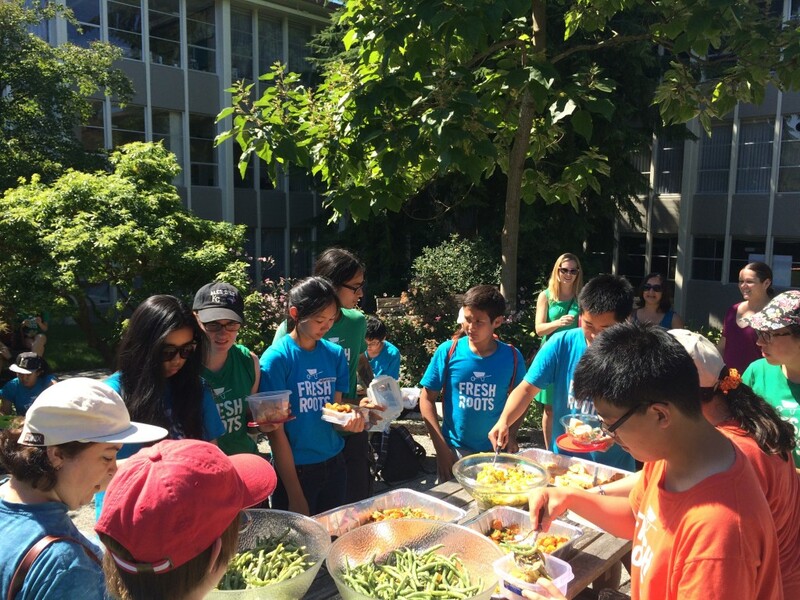 Nourish (United States): Fostering meaningful conversation about food and sustainability, particularly in schools and communities, is central to the mission of Nourish. They develop television programming, curriculum development resources, web content, and seminars as platforms for their nutrition education. Their Nourish film plays a central role in each of their educational initiatives. The film—which features interviews with best-selling author Michael Pollan, sustainable food advocate Anna Lappé, chef Bryant Terry, pediatrician Dr. Nadine Burke, and organic farmer Nigel Walker—analyzes our relationship with food and how food relates to biodiversity, climate change, public health, and social justice. OzHarvest (Australia): The first perishable food rescue organization in Australia, OzHarvest collects excess food from more than 2,000 commercial food providers and delivers it, free of charge, to more than 800 charities. In addition to this redistribution of surplus food, OzHarvest focuses on educating and raising awareness about food waste, food rescue, food security, and sustainability. They also work to promote nutrition education, particularly among disadvantaged youth. Their NEST program, Nutrition Education Sustenance Training, teaches people across Australia to engage in healthier eating practices and food preparation behaviors. NEST is administered at numerous locations, including homeless shelters, schools, youth services, and community centers. Pasona O2 (Tokyo, Japan): Pasona O2 is located underneath an office building in the heart of Tokyo. They utilize modern technology to grow 100 types of fruits and vegetables indoors using energy-efficient LEDs, instead of light energy from the sun, and hydroponic growing. To engage the city’s youth, they invite student groups to the urban farm to learn about the environment and growing food. In doing so, they hope to expose children in urban areas to the origins of food and instill a love for nutritious fruits and vegetables. Prinzessinnengarten (Berlin, Germany): In 2009, hundreds of volunteers converted an old city square into a fruit and vegetable garden, now known as Prinzessinnengarten, or Princess Garden. Today, local residents maintain the garden and often invite experts to provide food education to local children. They teach children about sustainable living through sustainable food choices and provide them with the tools to engage in urban farming. Real Food Media Project (United States): Part of Food Mythbusters, the Real Food Media Project seeks to counter misconceptions about the U.S. food system by creating documentary videos on food. Their films aim to inspire people to believe food system change is possible, educate them on how to affect such change, and, ultimately, grow the sustainable food and farming movement. Each film popularizes complex ideas and policies for a general audience, including children. Most recently, they released a film tackling the fallacious belief that industrial food is necessary to feed the world. School Food Matters (London, England): School Food Matters develops food education programs for schools across London. Each program includes hands-on cooking lessons, food growing, and, typically, a visit to a local farm. In producing these programs, School Food Matters seeks to ensure that every child has access to nutritious food, an appreciation for the origins of their food, and an understanding of healthy eating practices. They work closely with individual schools to ensure that the program can grow and become a recurring feature of the school’s calendar. School Garden Project (Beijing, China): The School Garden Projects believes that engaging children in gardening, helping them understand the food supply, and educating them on food and nutrition will enable them to lead healthy, successful lives. Since 2011, this organization has led school gardening programs across Beijing. The programs not only teach children to grow their own food, but also incorporate environmental conservation lessons and nutrition education. In addition, the School Garden Project often takes students on field trips to farms to improve their understanding of the food supply chain and offer healthy cooking classes. SEED (Cape Town, South Africa): A nonprofit and public benefit organization operating in Cape Town, South Africa, SEED works to increase ecological literacy, provide organic food to students, and improve the health of communities through nutrition and food education. They predominantly work in under-resourced schools to help teachers create outdoor gardens and provide education on the food system. SEED fosters connections between children, the environment, and the food that they eat. Gardening not only builds this connection but also improves the health and nutrition of students. Siyakhana (Johannesburg, South Africa): Using the principles of permaculture, Siyakhana created a vegetable and medicinal herb garden on an abandoned plot of land in Johannesburg, South Africa. After this success, they expanded their reach and started establishing urban gardens across the city. In addition to programming for urban farmers and city residents, they provide educational opportunities for children in schools, homeless shelters, and community centers. Their lessons focus on food security, health promotion, nutrition, and sustainable urban agriculture. Slow Food International (Global): Slow Food International works in more than 160 countries to ensure everyone has access to good, clean, and fair food. They are dedicated to combatting a growing disinterest in food, its origin, and the environmental consequences of our food choices. Their initiatives and programs vary widely, from biodiversity projects to international networking. Notably, however, they offer food and taste education to help people understand where their food comes from, how it was produced, and who produced it. This education takes the form of school gardens, farm visits, practical workshops, and knowledge exchange. Sors de Terre (Paris, France): Outside of Paris, in the Bagnolet suburb, herds of sheep and goats graze the small plots of land that separate apartment buildings. Sors de Terre transforms these plots of land into urban farms, where they teach children to establish, maintain, and harvest gardens. They hope to connect children with the environment and provide them with experiential food education. Sustain Ontario (Ontario, Canada): Sustain Ontario’s Edible Education Network aims to promote food literacy and create healthy food environments across Ontario. They connect groups in Ontario working to advance this mission so they may share resources, ideas, and experiences; work together; and facilitate efforts educating children on healthy eating, cooking, and sustainable food production. They provide children across the province with a better understanding of the food system and with education on how to grow, prepare, and choose healthy food. Time to Grow (Hong Kong, China): Time to Grow provides a range of educational workshops to educate children in Hong Kong on urban farming and food systems. They promote conscious food consumption among Hong Kong’s youth by teaching them about their relationship to the environment and to the food that they eat. They also offer cooking classes to children to provide them with the tools to turn fresh produce into a nutritious meal. Wellness in the Schools (New York City, New York, United States): This New York City nonprofit works with public schools to provide children with healthier school food and teach them about nutrition. Wellness in the Schools (WITS) sends culinary school graduates into school food kitchens to teach the cooks to prepare nutritious meals from scratch and into classrooms to teach children to cook healthy foods. In some of their schools, they have a Garden to Café program, in which they harvest vegetables from the school’s garden and serve them to the children.